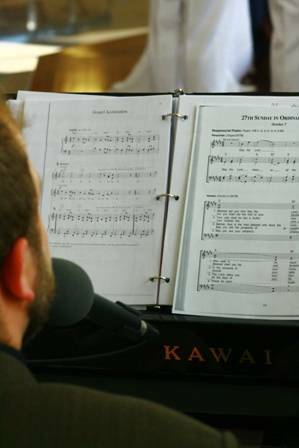 Lend your voice in song during weekend and Holy Day Masses. Training is provided. Time Commitment: Varies depending on liturgical season. Lead the voice of the church through song during Mass. Training is provided and time commitment varies. Share your musical talents with the community. Piano, guitar, organ, drums or whatever else you may play. Time commitment varies. Contact Drew Cowell for more information.